Casino games, like any other novelty, tend to follow trends that come and go. Baccarat, however, has been one of the leading casino games in online and bricks-and-mortar casinos for more than a century. Baccarat online has long been associated with wealthy high-rollers and this is one of the reasons why so many people of all income levels flock to baccarat tables; these people yearn to be a part of the glitz and glamor associated with the game. It originated in Italy sometime during the 1200s and slowly made its way across Europe and eventually into the Americas. The name of the game--baccarat--was derived from the Italian word for 'zero', but this should never fool players as the one holding a point total of zero is sure to lose their bet. 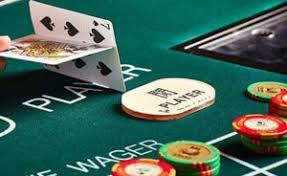 The main goal in baccarat is to accumulate a hand of eight or nine, or as close to one of these as possible. Players are only dealt two cards, but a third card is optional and often dictated by the game rules. Cards two through nine are counted as face value, face cards are counted as 10, and Aces are counted as one. Players who have a total of eight or nine with the first two cards win automatically as this is considered a 'natural'. Those who have a point total of more than two digits only count the second digit in the total. Though the game of baccarat is still associated with the well-to-do, online baccarat games with varying minimum bets have made the game popular for all walks of life.